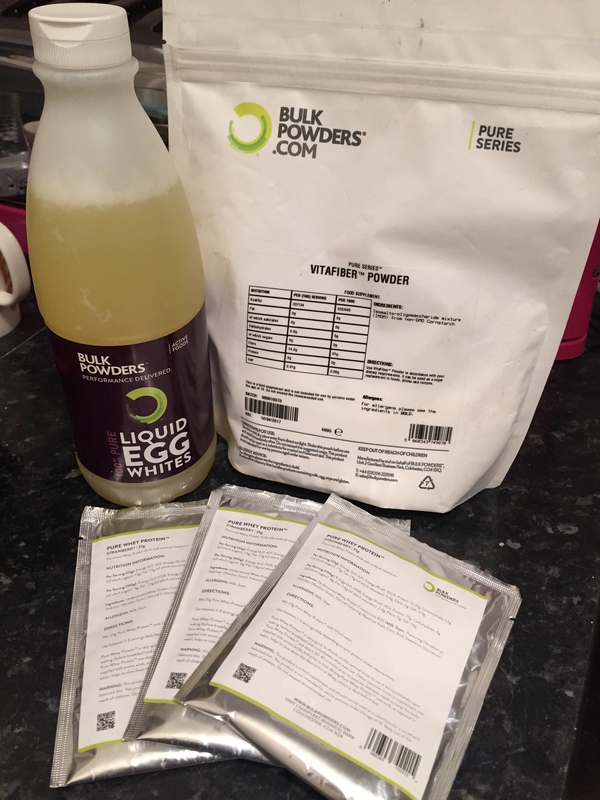 I was delighted when Sports Nutrition company Bulk Powders got in touch and asked me to create a recipe for them using a mystery flavour of protein that they wanted to send me…. I do love a cooking challenge! 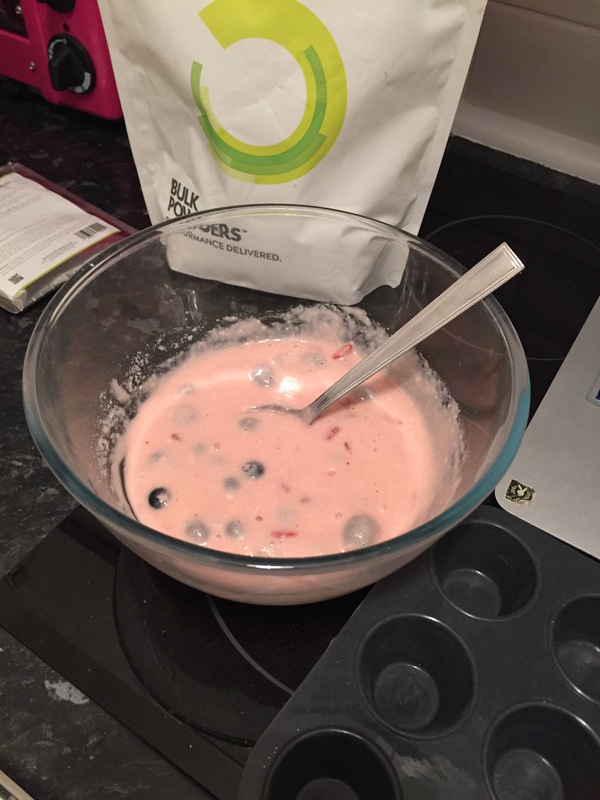 So when I received several sachets of their high quality Strawberry flavour whey protein, I decided to create a healthy muffin recipe that you can enjoy as the perfect post workout refuel, or to satisfy your sweet tooth mid-morning (without worrying about the calories). 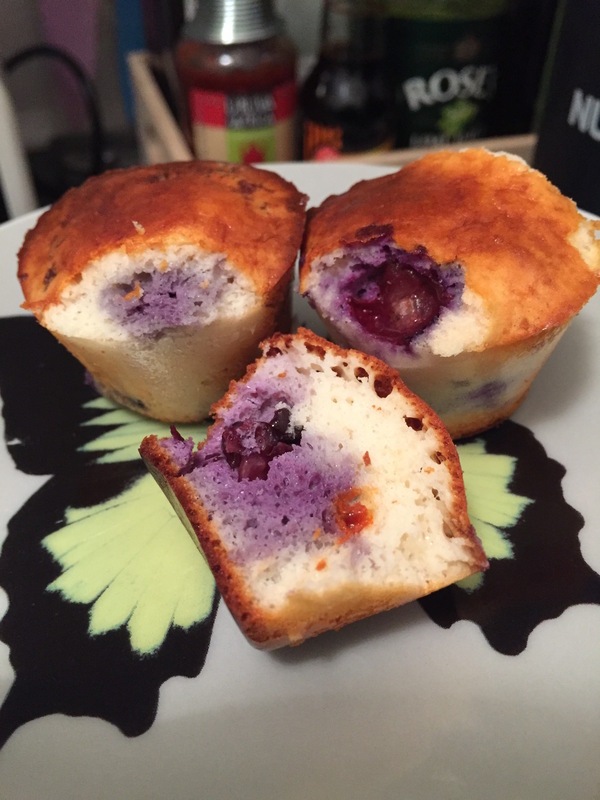 But despite having great macros, good nutritional benefits and being easy to make, to me by far the best thing about these Bulk Powder Berry Protein muffins is the fact that they are pink! A protein treat to match my gym outfit – perfect! Mix all the dry ingredients together in a large bowl. Once combined, add the liquid egg whites and stir well until a batter-like consistency is achieved. If the mixture still seems a little dry, feel free to add more egg whites. Stir well until you have a smooth mixture (protein powder can clump a little) and at that point, add your mixed berries – I used one small handful of goji and one small handful of blueberries. Pour the mixture into muffin cases – the amount above made 12 mini muffins for me, if you are making larger muffins this mixture should create 6-8. Place muffins into the oven and check every 5 minutes – if the tops are starting to brown before the muffins are cooked then turn the temperature down a little, or cover the muffins with tin foil. They should take 15-20 minutes to bake through. Remove from the oven and enjoy your high protein, low fat, low sugar treat!